ACE Trains O Gauge C/25-A LNER Gresley art sets. ACE Trains O Gauge C/25-A LNER Gresley art set No. 74. Price to be advised. (TBA). ACE Trains O Gauge C/25-B LNER Gresley art set No. 159. 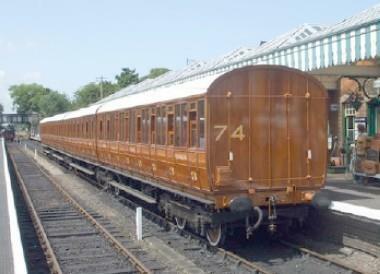 The body length are 27.5cm to replicate the very short lengths these coaches were. ACE Trains O Gauge C/25-C BR Gresley art set No. 74. ACE Trains O Gauge C/25-D BR Gresley art set No 159.